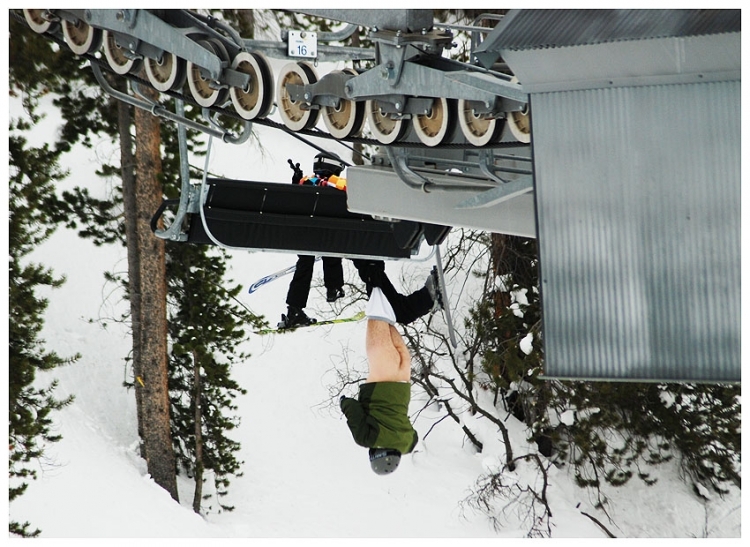 JANUARY 6--In a bizarre incident that will surely lead to litigation (or an out-of-court settlement), a skier at Colorado's ritzy Vail resort was left dangling upside down and pantsless from a chairlift last Thursday morning. 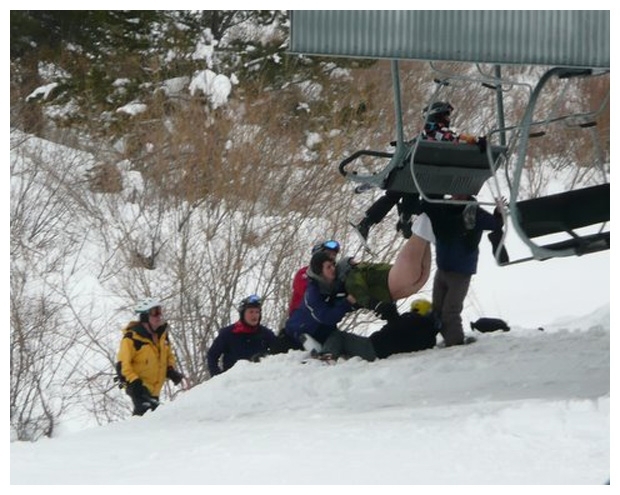 The January 1 mishap apparently occurred after the male skier, 48, and a child boarded a high-speed lift in Vail's Blue Sky Basin. 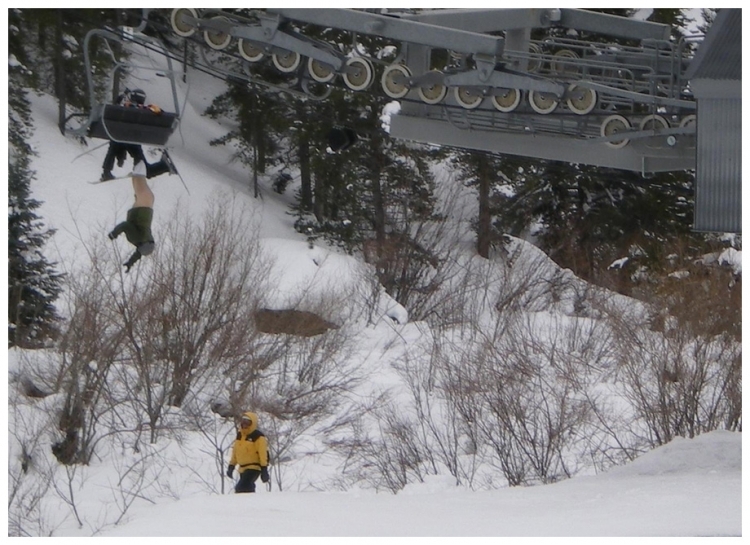 It appears that the chairlift's fold-down seat was somehow not in the lowered position, which caused the man to partially fall through the resulting gap. His right ski got jammed in the ascending chairlift, and that kept him upended since his boot never dislodged from its binding. 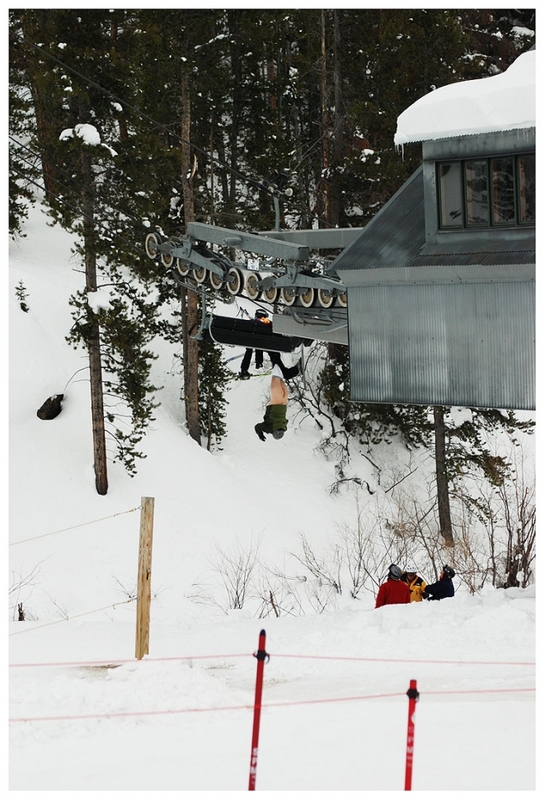 As seen in the photos (which were snapped by fellow skiers), the Skyline Express lift was stopped shortly after the pair's botched boarding resulted in the man dangling from the lift. 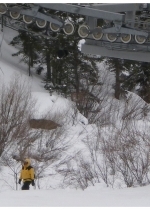 The exposed skier was stuck for about 15 minutes before Vail personnel backed the lift up and successfully dislodged the unidentified man from the four-seat chair.